The infamous throne seeker, Killmonger set to return in the next arc of 2018's box-office biggest surprise, Black Panther!! With the win of last night’s SAG award (Outstanding Performance by a Cast), the pipe dream of a superhero flick actually winning the best picture is now looking more palpable. With six out of 13 Academy nominations, some are already betting on Marvel’s first all-black-ensemble slate to at least take one or perhaps even all the six golden statuettes on the night of 5th March. While the movie was only just getting with the lady Academy buzz, the production team, on the other hand, came up with yet another update regarding the film, itself. 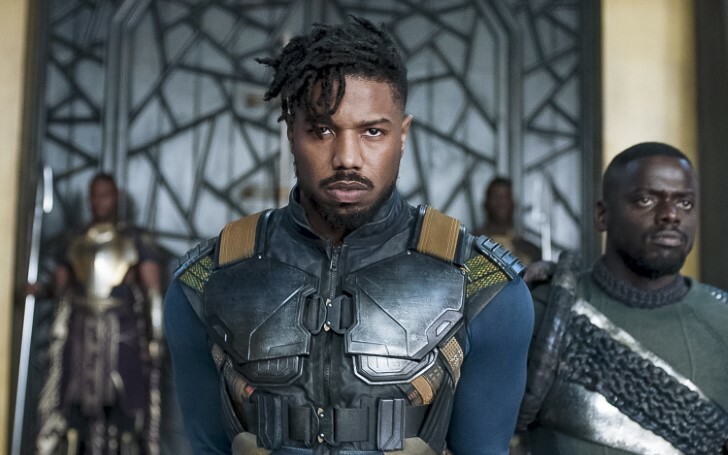 Just like Chris Evans (in Captain America) before him, Michael B. Jordan’s first outing in the superhero genre began with a starring role in Fantastic Four, where he portrayed the headstrong Jonathan (Johnny) Storm to life. And again like Chris Evans before him, the Marvel Cinematic Universe somehow managed to successfully restore Michael B. Jordan’s reviews as well, after the Creed star turned up as Erik (Killmonger) Stevens in Black Panther. He was without a doubt one of the most compelling foes for the T’Challa, and it’s a credit to the immensely talented actor that Killmonger’s arc never forced credulity up against the fans. The result? A formidable, deeply nuanced villain, perhaps, even for the whole MCU verse, one who managed to last in the minds of fans long after the end credits rolled. The character looked like he was pretty much done with the franchise when the King of Wakanda ultimately ended up piercing his chest with a dagger at the end. Yet, the one question still kept on lurking even after the film’s very end - will Michael B. Jordan return for Black Panther 2? For a while, there wasn’t even single notion of it. But according to some of the cast and those involved with the project, Killmonger is indeed lined up once again in the movie. In the comics, awakening for the dead eric comes with the rings of the Mandarin(another Marvel antagonist) amplifying the Resurrection Altar and thereby restoring Killmonger to life. Killmonger then returns to his lover and ally, Madam Slay, and the two plots to kill the Black Panther and thus siege the Wakanda to their ancient ways. So, from the arc itself, it's more likely that the poetic hatred of Killmonger is still not over for the current Wakandan king. Or at least, as per Vance, the feud seems to be reborn again. On the other hand, it is also more likely that this is just speculation on the actor’s part or he’s simply misinformed. But as of now, even the Marvel itself is in a cliff hanger with most of its phase 2 protagonists already dead in the last year’s infinity war. So as it turns out the makers have no other card up their sleeve but either resurrection or time table. And hence, the odd for the revival of Eric also seems quite strong. Besides, if director Ryan Coogler is really looking forward to bringing in the character back, there are for sure more than a few ways he could make it happen. For one, perhaps some yet to be used Wakandan technology, or, maybe Marvel could go for the plot revolving with the prior timelines. Furthermore, Killmonger lineage with the Royals means that may have some or two untold connections which can still give his arc much to tell for. Also, there’s a whole lot of post-credits from this year’s upcoming movies from the universe of Marvel. Though that’ll be a whole different theory that we’re not ready to dive into just yet. In any case, Black Panther was unlike anything else from MCU’s other features. For now, we’ll just have to wait and see what comes out from each of the inevitable near end scenes from Kevin Feige's movies.